Ever since 2006, Huntsville have established a reputation as one of the most innovative, inventive and imaginative bands in Europe. For the past nine years, Huntsville have been seamlessly been combining musical genres and influences. In doing so, musical boundaries are pushed to their limits, and sometimes, way beyond. Never do Huntsville play things safe. No. That’s not Huntsville’s style. Instead, they’re musical alchemists. Ever since Ivar Grydeland, Tonny Kluften and Ingar Zach first met, they realised that they were kindred spirits. Music they realised, had to continue to evolve to stay relevant. So, Huntsville set about creating music that was innovative. To do that, the three members of Huntsville combine musical genres and influences. They combine everything from rock and jazz, to electronica and psychedelia. Huntsville also draw inspiration from some of their musical heroes, including Miles Davis, Steve Reich, Ennio Morricone and early Tortoise. That’s an eclectic mix. However, each and every one of these artists have influenced Huntsville’s forthcoming fifth album Pond, which will be released on Hubro Music on 4th May 2015. It’s the long-awaited followup to Past Increasing, Future Receding. It was one of the best albums of 2013. Past Increasing, Future Receding was just the latest chapter in Huntsville’s career, which began back in 2006. It was back in 2006 that the Norwegian trio Huntsville recorded their debut album For The Middle Class. A genre-sprawling album, critics realised that Ivar Grydeland, Tonny Kluften and Ingar Zach weren’t just talented, but truly innovative musicians and producers. A great future was forecast for Huntsville. That proved to be the case. Two years after the release of For The Middle Class came their sophomore album Echo, Arches and Eras. This was no ordinary album. Quite the opposite. It was an ambitious double album where musical genres melted into one. One track, Eras, was a fifty-four minute opus, where Huntsville were joined by Glen Kotche and Nels Cline. If critics weren’t taking notice of Huntsville, they were after Echo, Arches and Eras. However, their next album would surpass everything that’s gone before. Released in 2011, Music For Flowers, Cars and Merry Wars was the album that launched Huntsville. They’d switched labels, joining Hubro Music, a progressive label with a reputation for releasing innovative music. That was the perfect way to describe For Flowers, Cars and Merry Wars. Innovative, mesmeric and blessed with an ethereal beauty, critics and connoisseurs of good music awaited the followup to For Flowers, Cars and Merry Wars. Following the release of For Flowers, Cars and Merry Wars, Huntsville were busy. They released a collaboration with Splashgirl. Entitled Splashgirl/Huntsville, it showcased two of Norway’s most forward thinking groups. After that, work began on Huntsville’s forthcoming album, Past Increasing, Future Receding. Recording of Past Increasing, Future Receding took place in Emanuel Vigeland’s Mausoleum. For Huntsville, that was the only place the album could be recorded. After all, so important are the Mausoleum’s famed acoustics, that they refer to it as the fourth member of the group. Its dark, some would say bleak and gloomy surroundings are full of ghosts of the past. Atmospheric and evocative, full of historical and darkness, the surroundings proved inspirational for Huntsville. Referring to Past Increasing, Future Receding as a critically acclaimed album is almost an understatement. Past Increasing, Future Receding was an epic album that surpassed Huntsville’s three previous album. It seemed that with every album, Huntsville were maturing and evolving as a band. Huntsville were now one of the most exciting and innovative bands in Europe. Since the release of Past Increasing, Future Receding, Huntsville have spent time touring and recording their fifth album Pond. Huntsville are always busy. They’ve now played over a hundred concerts. With every tour, Huntsville’s music reaches a wider audience. It’s the same with their albums. After the success of Past Increasing, Future Receding, Huntsville began work on their fifth album, Pond in June 2014. Just like previous albums, Pond was written and produced by Huntsville. Pond features four lengthy songs Er, Ing, Age and Ok. They allow Huntsville to improvise and embark upon a sonic voyage of discovery. That’s what happened over a week in Oslo at Amper Tone studio in Oslo. Unlike Past Increasing, Future Receding, Huntsville decided to use a traditional recording studio. So, they chose Amper Tone studio in Oslo. Assisting Hunstsville was sound engineer Johnny Skalleberg. With his help, Huntsville got to work in June 2014. Ivar Grydeland played electric guitar, pedal steel and added electronics, Tonny Kluften played bass and Ingar Zach added percussion and timpani. Huntsville worked quickly. Within a week, the four songs that became Pond were recorded. 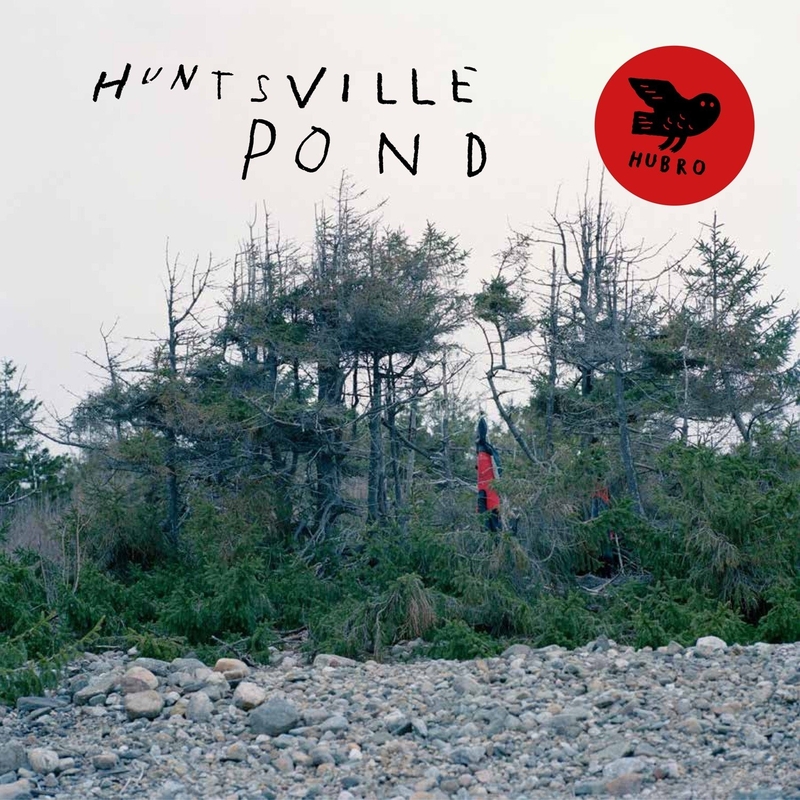 Now Huntsville’s fifth album, Pond, was nearly complete. Three months later, Pond was mixed by Johnny Skalleberg at Amper Tone studio. The album was then mastered by Helge Sten, at the Audio Virus Lab, in Oslo in October 2014. That was the final part in the process. Now Huntsville were ready to release Pond, which I’ll tell you about. Age opens Pond. It’s best described as a moody, atmospheric soundscape. From the opening bars, there’s a cinematic sound. Distant bells chime, drums pound and a whip cracks. Washes of eerie, otherworldly create a captivating soundscape. Nothing is as it seems. Instruments are transformed into something totally different. Ivar Grydeland’s guitar becomes a quivering wash. He plays the strings of his guitar like a violin. Other times it takes on a brief Jimi Hendrix influence. Ingar Zach’s percussion veers between avant-garde and industrial. Later, what sounds like gunfire can be heard. It’s not though. As I said, nothing is quite like it seems. There’s even a brief nod to Pink Floyd’s cash register on Money. Soon, a sense of urgency emerges. Bursts of guitar are unleashed while percussion and sound effects fill the gaps. This is improvisation at its innovative best. Huntsville have drawn you in. Intently, you listen to hear what happens next. The music becomes ethereal, urgent, dramatic and captivating. Everything from ambient, avant-garde, electronica, free jazz, industrial, psychedelia and rock melts into one, creating a truly innovative and captivating soundscape. As hypnotic drums play a shaker creates a rustling sound on Er. Tonny Kluften’s adds a probing, bounding bass line. Sound effects are added. Just like the bass line and drums, they draw you in. You focus on them, as Huntsville continue to paint pictures. A chiming guitar and Huntsville’s cash register effect is added. Soon, Ivar Grydeland play a note on his guitar. He stretches into the distance. Having seen this work he tries again. Same thing. The rest of Huntsville take confidence from this and continue to improvise. Percussion and a myriad of sound effects are added. So, is a pedal steel. It creates a lysergic wash. It’s impossible not to wallow in its beauty. Meanwhile, the drama is building underneath. Once its reached a crescendo, the arrangement glides along, Kraftwerk style. Think Autobahn or Trans Europe Express. Occasionally, Ivar unleashes bursts of quivering guitars. Much later, the arrangement becomes an ethereal soundscape, where neo-classical, ambient and avant-garde unite seamlessly to create an elegiac, mesmeric and cinematic soundscape. Just the distant sound of scrabbled strings open Ing. Again, they’ve a cinematic sound. Already, Ing sounds like it would make the perfect soundtrack to a thriller or horror film. Atop the arrangement, industrial percussion is added. So too is Tonny Kluften moody bass. Behind his bass, the plink plonk percussion and scrabbled strings vie for your attention. They work well together, and make an unlikely musical yin and yang. Later, Ivar adds occasional washes of detuned guitar. Mostly though, it’s the bass and percussion that you focus on. That’s until Ivar adds ethereal washes of guitar. They’re reminiscent of John Martyn circa Solid Air. They prove the perfect finishing touch to a track that’s not just inventive, but spacious and lysergic. No wonder, with Huntsville fusing ambient, electronica, free jazz, industrial and post rock. Ok, an eleven minute epic closes Pond. Percussion resonates into the distance. Soon, bells chime hypnotically. A buzzing sound sits low in the mix. Then a clock strikes. It has a Hitchcock sound. Meanwhile, scrabbled and plucked strings flit in and out. So does feedback. It’s transformed and shaped. As it beeps and squeaks, it adds to the arrangement. So do melancholy washes of guitar. They’re joined by wistful strings. Elements of avant-garde, classical, experimental, free jazz, post rock and psychedelia melt into one. Together, they play their part in Huntsville’s futuristic soundscape for the post industrial generation. After two years away, Huntsville are back and better than ever. The Norwegian musical alchemists have released what’s without doubt, the greatest album of their nine year career, Pond. Somehow, they’ve managed to surpass their previous album Past Increasing, Future Receding. No wonder. Huntsville have pushed musical boundaries to their limits, and way beyond on Pond, which will be released by Hubro Music on 5th May 2015. As a result, Pond is without doubt, Huntsville’s most ambitious and innovative album. It features a quartet of groundbreaking soundscapes. Pond, with its combination of innovative music and futuristic, sci-fi sounds is guaranteed to pique your imagination. It’s articulate and intelligent music. This is music for the mind. Pond’s four soundscapes are guaranteed to make you think. That’s why cinematic is a perfect description of the music on Pond, where Huntsville take you on a musical adventure. Over four epic tracks, Huntsville take you on a journey. They supply the music. All you need to do is let your imagination run riot. What follows is akin to a four part play, where Huntsville supply a musical backdrop. The music can be melancholy and thoughtful. Other times, it’s moody and broody, but can just as easily become crystalline, elegiac and ethereal, as musical influences and genres melt into one. Just like on previous albums, Huntsville have combined a disparate combination of musical genres and influences on Pond. They add to their musical melting pot, elements of ambient, avant-garde, electronica, experimental, free jazz, industrial, post rock, psychedelia and rock. Huntsville also draw inspiration from some of their musical heroes, including Miles Davis, Steve Reich, Ennio Morricone and early Tortoise. Other influences include Brian Eno, Can, Harold Budd, John Martyn, Mind Over Midi, Neu and Pink Floyd. That’s an eclectic mix. However, all these influences can be heard on Pond, a truly captivating and innovative album from musical alchemists Huntsville. ← JOHNNY AND THE HURRICANES-HURRICANE FORCE-RARE AND UNISSUED.